Judge Perkins oversees East Fork Justice Court proceedings. In addition to 14 years in private practice, Judge Perkins has served as District Judge, Nevada State Public Defender, and Chief Civil Deputy District Attorney. Appropriate court attire is to be worn in the courtrooms. Tank tops, bare midriff shirts, shorts, hats and sunglasses are not appropriate. No clothing that illustrates profanity or inappropriate words or conduct will be allowed in the courtroom. Cellular phones and pagers may not be used in the courtroom. Please turn them off before entering the courtroom. If they make noise during court proceedings a sanction and contempt of court charge could be assessed by the judge. No gum, food, or drinks allowed in the courtroom. No profanity is allowed unless permission has been given by the judge. No smoking inside or outside the court building. In some cases you may be eligible for a court-appointed attorney at a reduced cost or at no cost, if you cannot afford one. Not all cases and not all defendants qualify for a court-appointed attorney. The Judge will ask you questions about your financial situation to determine eligibility. If you enter a not guilty plea at your arraignment, your next court appearance is typically one or two weeks later for a Pre-Trial Conference. At the conference you, or you and your attorney will meet with a representative from the District Attorney’s office to discuss resolution of your case; review claims and evidence; and attempt to determine if the charge(s) should be dismissed, reduced or whether you will change your plea to guilty, or whether the parties will request a trial. Following your first appearance on a felony or gross misdemeanor charge, your next court appearance is typically one or two weeks later for a Pre Preliminary Hearing. 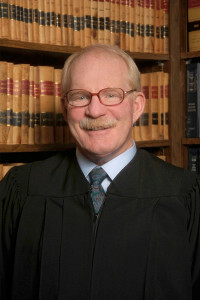 At the hearing you, or you and your attorney will meet with a representative from the District Attorney’s office to discuss resolution of your case; review claims and evidence; and attempt to determine if the charge(s) should be dismissed, reduced or whether you will waive your right to a preliminary hearing, or whether the parties will request a preliminary hearing.